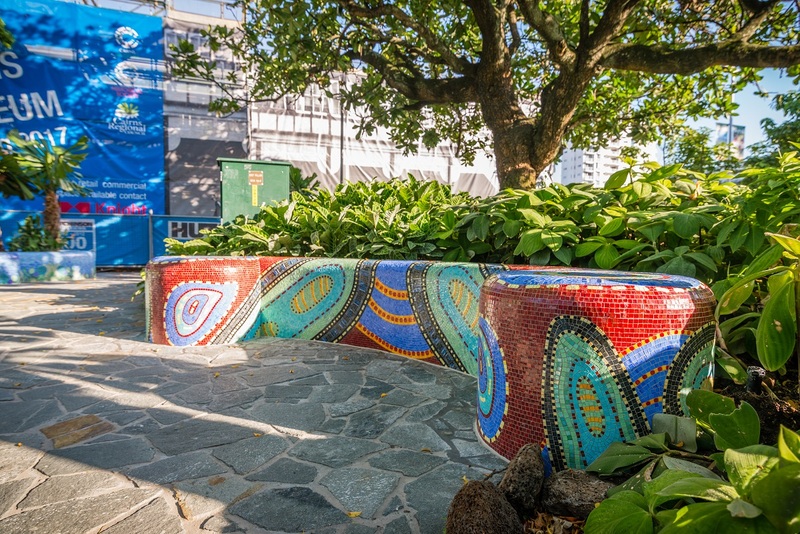 Don Macdonald is a master mosaicist. 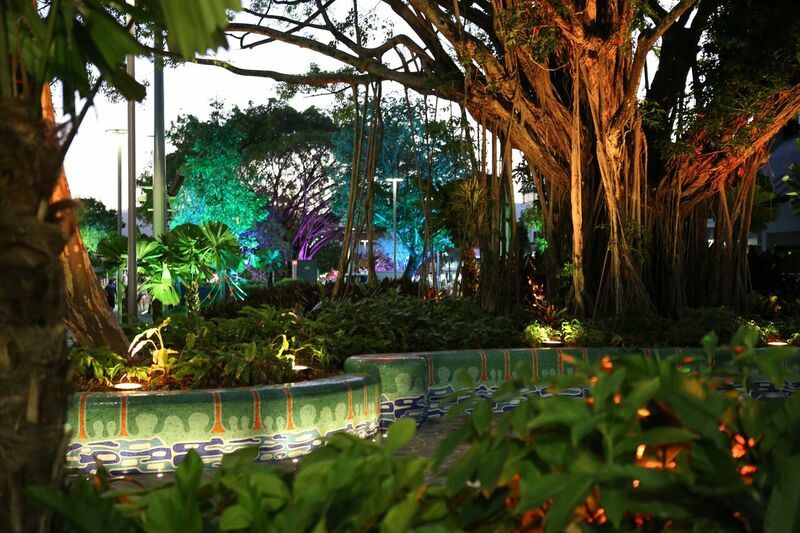 His work is extraordinary and the installations he’s created will bring tears to your eyes. The interesting thing about his story is that he never wanted to be a mosaicist. In fact, he resisted it for years. Thirty years ago Don returned from his service as a naval officer ready to start a new career, but unsure of what his next step was going to be. After spending years traveling the world, “regular” jobs didn’t hold much appeal. One job in particular sounded especially unappealing — laying tile. Earlier this year, Don created this. Don’s story is the classic Hero’s Journey. He came back from service and needed to get a job. He started to lay tile and eventually worked his way onto big construction projects where he decided the last thing he wanted to be was a bathroom builder and mosaicist. However, he kept getting pulled into that direction. He eventually met an art dealer named Keith Murphy who represented two up-and-coming Aboriginal artists. Together they formed a partnership that changed the trajectory of Don’s life. Through this collaboration he felt and responded to the call of his soul. Mosaics on their own didn’t hold meaning for him. 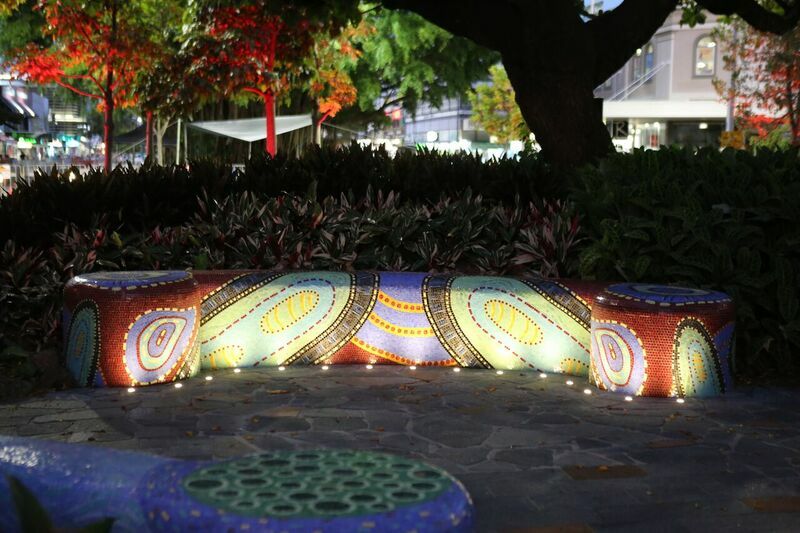 However, if he could bring Australia’s First Nations art into large-scale public art, he felt he could make a worthy contribution. Which is exactly what he did. 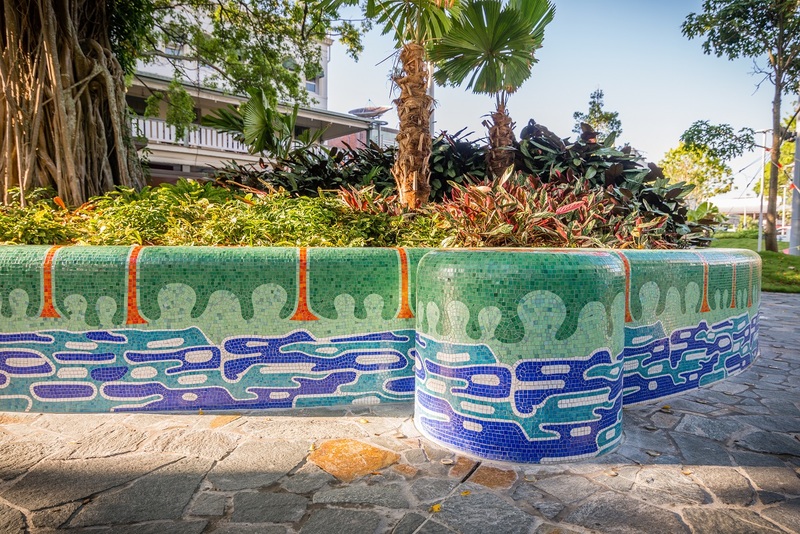 The project seen here consists of 1,000,000 15mmx15mm glass mosaic tiles that represent indigenous art from three family members from the local Yarrabah community. 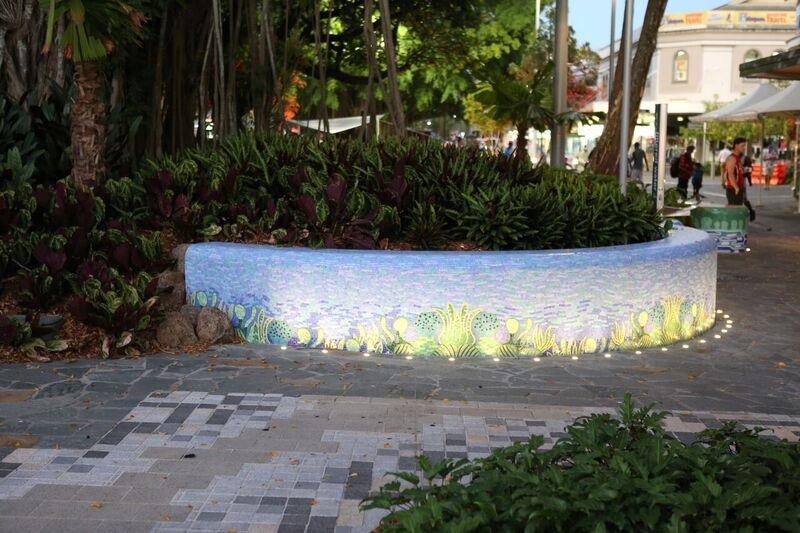 The installation was commissioned by the Cairns Regional Council as part of a $22 million dollar upgrade to the main mall of the Cairns CBD. It took one year, $700,000 and over 4,000 site hours to complete. 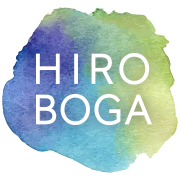 How did Become Your Own Business Adviser help Don with this project? And it did in a big way. Don’s art is not just about beauty. There are a lot of people who produce artwork that is lovely to look at. But Don wants more. 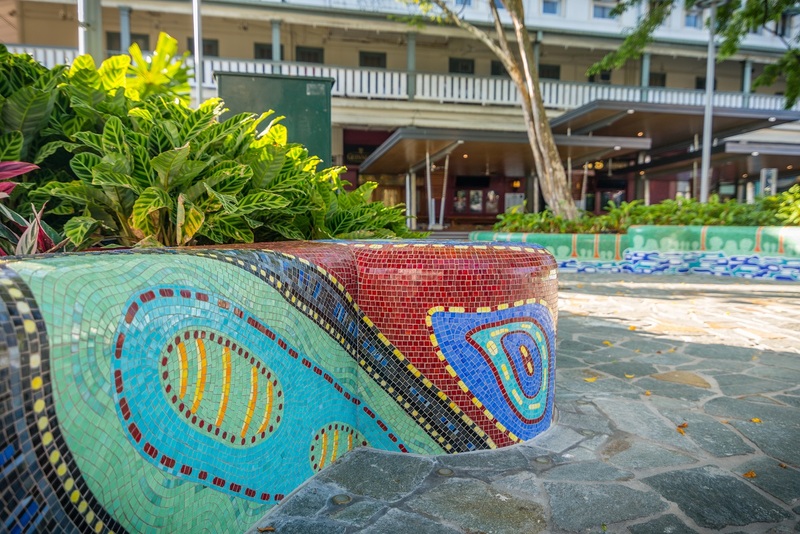 He has a burning desire to create pieces that are beautiful but that also carry a message for a community and culture to whom he feels deeply connected. “Our country has never done a great job of honoring our Aboriginal people. I’ve been called to be a translator of their culture in a way that can be appreciated by everyone. I can teach people through my art because art is so disarming. Art allows you to get into someone’s psyche very subtly and change their perception of things. Don and his business partner Keith have big projects on the horizon. What’s so inspiring about these two is that they are both so keenly aware of how important their chance meeting was. They believe they were both given a gift and an opportunity to collaborate and they better do something important with it. I’m blown away by the richness, complexity, scale and sheer gorgeousness of Don’s installation, and by the ways in which he blended traditional indigenous art into a thoroughly modern, intimately useable public artwork! A deep, deep bow of love and appreciation for you, Don — your work will inspire and delight so many for generations to come.